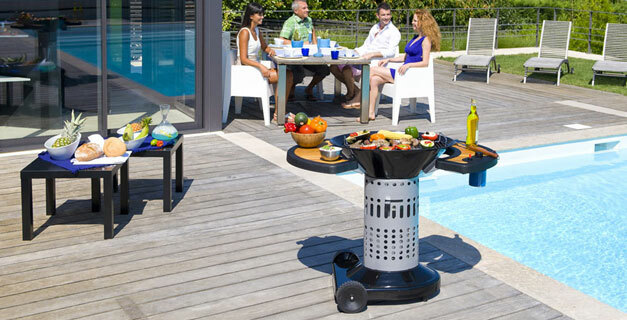 Campingaz® presents a range of barbecues that combine the ambiance and taste of a charcoal barbecue with the convenience of a gas barbecue. Campingaz® Bonesco™ offers the unique taste and ambiance of charcoal without the hassle and long time spent on igniting it. The new Campingaz Quick Start Technology (QST) reduces the pre-heat time to only 10 minutes, using a Campingaz® CV300 cartridge. A simple push of the piezo button is needed for a successful ignition, every time!